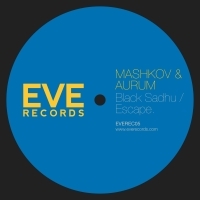 Mashkov & Aurum return to EVE Records with their dark, brooding follow-up to 2011's 'The Code'. 'Black Sadhu' provides a fierce sense of rhythm alongside a contemplative vocal while with 'Escape', the Russian-duo hold nothing back! 'Black Sadhu / Escape' is available now from Beatport and iTunes.